We are a value added distributor for network infrastructure and industrial connectivity products. 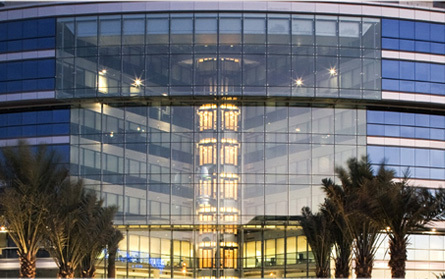 Topnet Distribution was set up in Dubai, UAE in 2005 and expanded to india in 2012 with office in Chennai. We work through systems integrators, telecom installers and value added resellers who work with the end users to implement projects in the information and communication technology industry. We work with end users, consultants and the channel partners to understand the needs of the projects and offer the right solution through the channel partners. Our association with leading manufacturers in the industry strengthens our position as a specialized distributor in this niche segment of the ICT industry. Our strengths are in offering the right products and solutions at competitive terms to our customers and also in extending the best pre- and post-sales technical support to our clients. We are a BICSI Corporate Member and AVIXA member, we follow standards and guidelines in our approach to ITS products and solutions. Our staff have many years of experience and certifications from BICSI. We support our channel partners in empowering their staff with specialized training through BICSI, FOA and our vendor partners for various certifications.